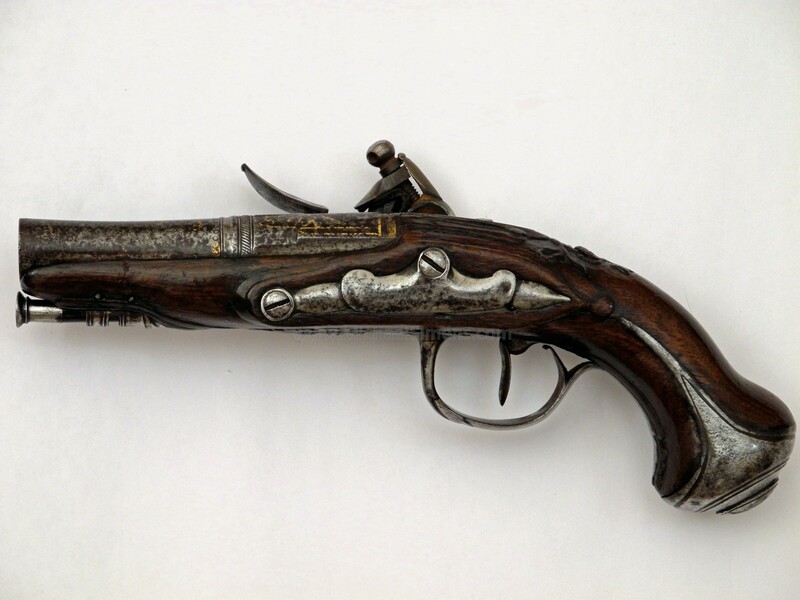 This is a wonderful little Continental Flintlock pistol and in the most diminutive size I've ever seen, even in photos. 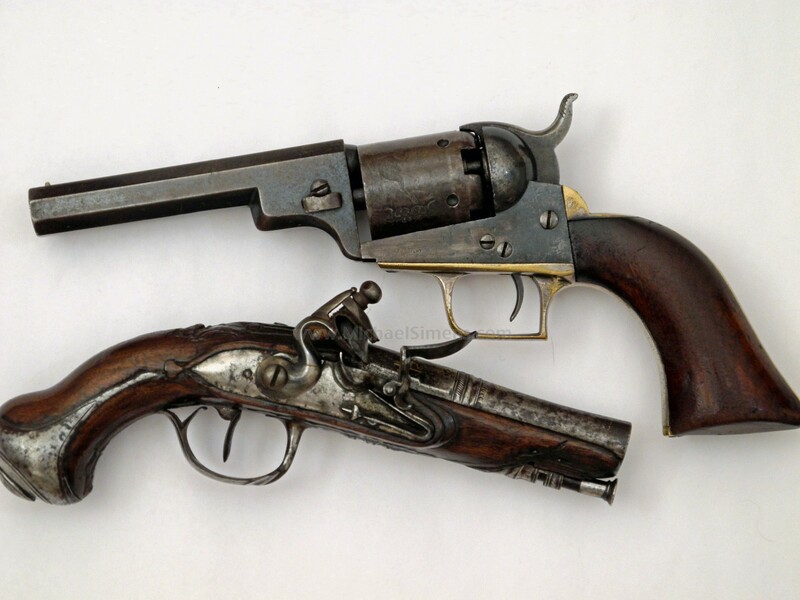 It is well made with 3 & 1/2" barrel. 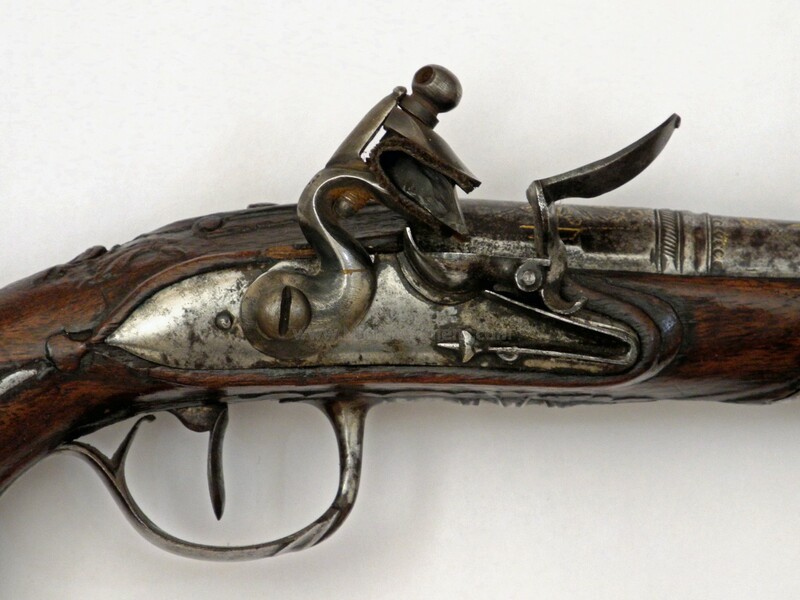 It is fully iron, perfectly functional and has nice wood with a touch of scrolling behind the barrel tang. Generous traces of gold gilt on etch barrel-top. Very fine+ condition over all. 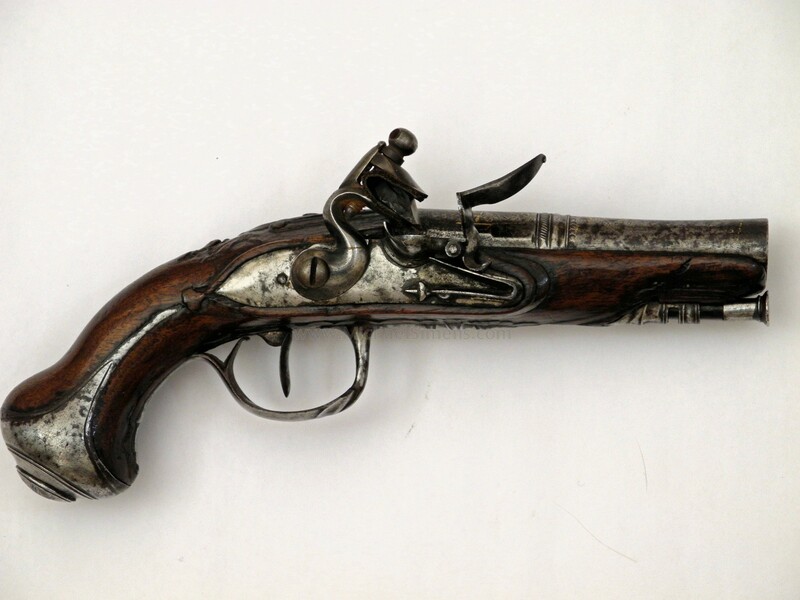 A very cool little gun that probably dates 1750 - 1790.